We understand that when shopping for a new or used Honda model, the thought of cost comes up, but we’re here to help. 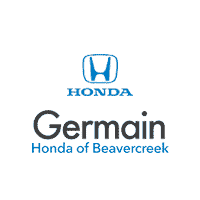 Our financing team wants you to have the best possible experience here on our lot, and that includes finding you a new Honda model lease or used car loan. If you have a certain budget in mind, or you are open for suggestions, our financing team has been through the process enough times to help you drive home in a vehicle with the right terms for you. Whether you’re searching for a new or used Honda model, or you’re opening your search up to include used off-brand models, our financing team has had experience finding the right lease and loan terms to suit your lifestyle. We know that not every budget is made equal, and the last thing you want is to go home with uncertainty about your financing terms. You know what you can afford, and we’re here to help ensure that you get it. Be sure to browse our inventory of new and used models, then reach out to us when it’s time for a test drive. You’re sure to enjoy your experience here on our lot, so visit us at your earliest convenience.